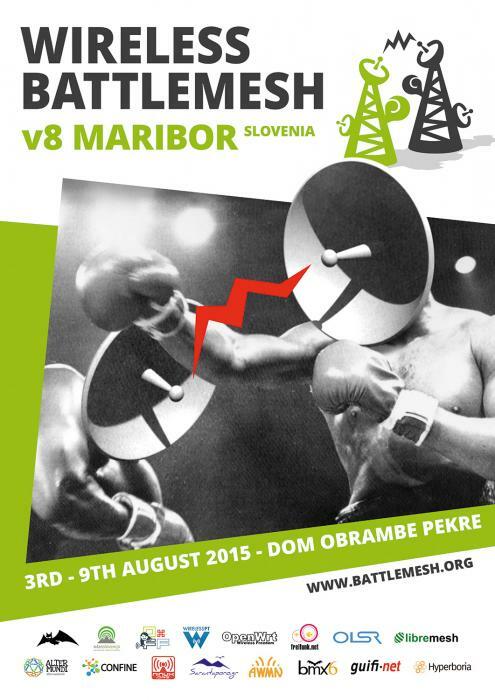 The “Wireless Battle of the Mesh” is an event that aims to bring together people from across the globe to test the performance of different routing protocols for ad-hoc networks, like Babel, B.A.T.M.A.N., BMX, OLSR, and 802.11s. freifunk.net endorses and supports the Battle of the Mesh v8 because it’s a great opportunity to meet all the developers and community network activists at one place. Our communities take benefits directly from results of the battle. The battlemesh gives us help and inspiration for further development of our firmwares and all the communities.